CEGE Connection is pleased to announce that Dr. Carolan McLarney will be the keynote speaker at the 7thTeaching & Education Conference organized by the International Institute of Social and Economic Sciences to be held May 21 – 24, 2019 at the University of London, United Kingdom. Dr. McLarney received her PhD at York University, Ontario, Canada, and MBA in International Business at University of Windsor, Ontario, Canada. 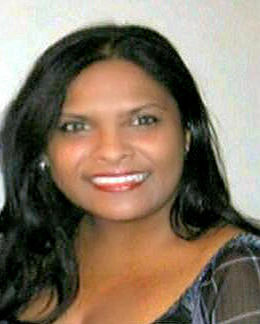 She is a Full Professor at Dalhousie University and specializes in International and Strategic Management. International Business 1999 – At my first intensive, Dr. McLarney orchestrated an international trade negotiation. I was the representative from Guatemala. Strategic Leadership Capstone 2003 – Dr. McLarney introduced a simulation during the intensive. Our class was engaged with a computer-based simulation where we ran an international shoe manufacturing company. Four-member teams competed in a complex, highly competitive environment. International Business 2018 Denise Hinds and Patrick Law were grand champions of a prestigious competition between several universities, an outcome of Dr. McLarney’s GLO-BUS simulation that was conducted virtually over the four-month period. The Centre for Executive and Graduate Education (CEGE) provides opportunities for deeper learning by delivering robust course content in ways that engage students to study, integrate and apply what they have learned. Deeper learning fosters competencies required to participate within our social milieu: critical thinking, collaborative and communication skills. CEGE’s commitment to their students was dramatically evidenced in the GLO-BUS Simulation introduced by Dr. Carolan McLarney in the 2018 winter semester of International Business. The Centre for Executive and Graduate Education (CEGE) is renowned for creating a dynamic environment where learning can be fully integrated and shared beyond the walls of academia. Kudos to all CEGE professors who share their knowledge and experience within a virtual environment. Tonn, P. J. C. (2003). 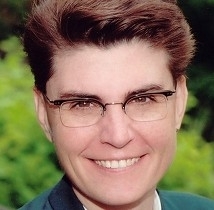 Mary P. Follett: Creating Democracy, Transforming Management [Kindle iOS version Location 113]. The New State by Mary Parker Follett is not an easy read. The concepts presented within the pages of a book published 100 years ago, continues to inspire us to think deeply and consider individual responsibility within a group dynamic. Mary Parker Follett’s greatest gift was her ability to listen intently to everyone, irrespective of their “position” in society – factory workers, shop girls, or presidents of large corporations. She believed that every voice counted – and it was not lip service. She was above all a determined pragmatist with a philosophy that we can organize our lives and institutions so that everyone can contribute. While we may consider this rather optimistic, I have seen glimpses of this possibility. We live in a world that thrives on complexity, but I believe that resilience comes when individuals participate in a greater, more inclusive, conversation. As we prepare to welcome a New Year, the last word belongs to a woman who passionately believed in the reality of integrating the diversity of cultures for the greater good. Mary Parker Follett valued differences, maintaining that together we gain strength and renewal, as individuals, as groups, as a society. To complete our series on Mary Parker Follett, I am joined by Annie Giraudou, MBS(FS)Class of 2007 and Yvonne Thevenot MBA(FS) Class of 2001, who have been following Dr. McLarney’s series on Mary Parker Follett. I have enjoyed reading “The New State” by Mary Parker Follett. I find I must take time to reflect on the ideas brought forth. One phrase stands out for me “There is a need for competent leaders and a need for competent group members”. We are seeing more research and novels focusing on the need for “followers”; emphasis being that we cannot all be leaders and that someone must effectively do the work. This is directly related to the obligation as a member to take that position seriously and contribute to the success of the team; not just the leader, but the entire team. I am seeing similar views on the extrovert versus introvert position. Could there be something to more Eastern cultures who favour “introversion” and team member contribution? Unbelievably, this question of requiring both types to make an efficient team and society was put to paper 100 years ago by Mary Parker Follett! Maybe it is about time we looked at all types to create a more balanced society. It is fascinating in business to see the emergence of “Agile” implementation framed as a new concept for organizing structures. Or in change management the idea of “listening posts” or “Ask Me Anything” sessions… This discussion and highlighting key aspects of the work from such a prominent thinker as Mary Parker Follett through the practical today’s language of Dr. McLarney truly demonstrates to me how long it takes for societal change to truly evolve. Thank you for sharing! GLO-BUS is an International Business Strategy Simulation. Participants run companies that compete for global market leadership in two product categories: (1) wearable video cameras that deliver stunning video quality and have powerful photo capture capabilities (comparable to those designed and marketed by global industry leader GoPro) and (2) sophisticated camera-equipped copter drones that incorporate a company designed and assembled action- capture camera and that are sold to commercial enterprises. Denise Hinds, Patrick Law and Golnaz Zilabi were members of “IRIS Cameras,” the class team that finished 1st place in the GLO-BUS simulation exercise conducted during IB Winter 2018. In late July, an invitation was given to “IRIS Cameras” to participate in the GLO-BUS Best-Strategy Invitational (BSI), an event to manage a GLO-BUS company in competition against companies from 10 to 11 other universities and business schools. The Invitational was to be conducted online from July 30 – August 18 and entailed a 10-round playing of GLO-BUS among participants from universities worldwide. Denise and Patrick accepted an invitation to represent Dalhousie University. Dr. Carolan McLarney is delighted to announce that Denise and Patrick, under the company name ‘Jenuine Cameras’ won first place on August 10, 2018, becoming the 2018 GLO-BUS BSI “Grand Champions”. Long-term fundamentals beat short-term decisions every time: Other competitors will focus on short term gains because it feels good “in the moment” but does not guarantee long-term results. We used this knowledge to our advantage and directed our efforts on choosing sustainable strategies. Measure what matters and ignore what doesn’t: Rather than revisiting past trends to determine whether our strategies were working out, we stayed focused on our competitive advantages. In the end, our company fundamentals were the most important benchmarks of our performance and success. Speaking of competitive advantages, we wanted to set up a “moat”. We realized early on that our product had to be as different as possible in good ways. As Sir John Templeton once wrote, “If you want to have a better performance than the crowd, you must do things differently from the crowd.” We focused on developing a long term durable competitive advantage by selling/producing our products with larger margins than our competitors. To learn more on this topic, there is a great article on moats (durable competitive advantages): Measuring the Moat by Vishal Khandelwal. We did several things to buy into the inherent margin of safety, from our high cumulative R&D approach; our sensitivity analysis activity; to the number of workstations added and robotic upgrade investments. Of course, forecasting and competitive assumptions played a significant role, as did marketing our product well. We agreed with Henry Ford, that “stopping advertising to save money is like stopping your watch to save time”. What do business students need to know? In everything we do, we must do it with integrity. As business students, we need to make long-term decisions for those long-term benefits. As students in the MBA (Leadership) stream, we chose to get involved in an extra-curricular activity to showcase our talents and education. We discovered that the GLO-BUS Best Strategy Invitational was not just about business strategies, ethics, marketing, competitor assumptions, financials, or player psychology. It was about a deeper, more profound recognition that we are involved within a global community that requires our highest participation and best efforts. Dalhousie University and, in particular, the Centre for Executives and Graduate Education (CEGE) offers students the required lessons, the deeper learning to thrive within the competitive world of business. More importantly, CEGE creates an inclusive environment that fosters critical thinking about engaging within a world that offers many opportunities and possibilities. 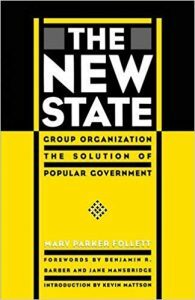 Mary Parker Follett, The New State: Group Organization the Solution of Popular Government. 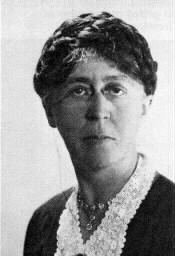 Mary Parker Follett, known as the “Mother of Modern Management,” was born today, September 3, 1868, into a wealthy Massachusetts Quaker family. Joan C. Tonn, in the introduction of her book Mary P. Follett, Creating Democracy, Transforming Management, describes Mary Parker Follett as having a warm voice and a stylish wit. Her strength was centered on her ability to listen attentively and enjoy conversations that welcomed a diversity of opinion. She fervently believed that working together, embracing differences, had the potential to generate new thought, new ideas. It was all about collaboration. Mary Parker Follett was the first woman to receive an invitation to address the London School of Economics and was sought after by President Theodore Roosevelt to be his personal consultant for managing not-for-profits and volunteer organizations. As we celebrate the 100-year anniversary of Mary Parker Follett’s book, The New State, there has been a resurgence in revisiting her theories, which cover a broad spectrum from management and public administration to social work, mediation and dispute resolution. Dr. Carolan McLarney has explored the remarkable life of Mary Parker Follett since her doctoral days. In her May 15, 2018 post, Dr. McLarney discussed Mary Parker’s thoughts on Group Membership. To commemorate the 150th anniversary of Mary Parker Follett’s birth, Irena Stropnik MBA (FS) Class of 2012, shared her thoughts on Group Membership in response to Dr. McLarney’s article. Dr. McLarney’s discussion of Mary Parker Follett’s theories on Group Membership has provided me with much food for thought, given our current realities. Many of Mary Parker Follett’s ideas ring true in today’s world. We are in desperate need of ‘quality men/group members’ and effective leaders to navigate the complexities and challenges of today’s world. In reading through Dr. McLarney’s post, what struck me most was the importance of quality group members – not only willing to give their best but recognizing the importance that combined efforts build and add to the entire group. We must be committed to our own ideas but humble enough to listen to others and see how together, we can come up with an even better idea(s). This seems to contradict today’s individualistic society and norms. We are so busy looking out for ourselves and our own interests, that we fail to contribute to the larger society because we believe that, if the whole is better, we may somehow have less. Rather than judging others, seeing the potential in each other; to show empathy and endeavour to understand a situation from another person’s perspective. Threaded throughout Dr. McLarney’s post was the notion of diversity (of thought, skill, effort, role) and inclusion (that we all must contribute to a better whole). The current business environment seems to understand this importance, but I believe, continues to struggle with how to really make his happen. How do we take into consideration everyone’s voice, their perspective, their thoughts? To me, the role of the leader is to orchestrate and facilitate this for teams. Whether it is a common vision or goal, or sometimes even stepping back to let others lead…we must consider how we want to function as a society and as business organizations. Dr. Carolan McLarney has explored the remarkable life of Mary Parker Follett since her doctoral days. 2018 is the 150th anniversary of Follett’s birth as well as the 100th anniversary of her book, The New State: Group Organization the Solution of Popular Government. To honour this milestone, Dr. McLarney has graciously agreed to give a series of interviews over the course of 2018 which will highlight her research on Mary Parker Follett. What will surprise you, as it did me: many “cutting edge” concepts we think came from our “modern time” had their origins in the writings of Mary Parker Follett. We invite you to join the discussion over the coming year and welcome your thoughts and comments. Mary Parker Follett lived in the United States from 1868 to 1933. A writer, political analyst, social activist, philosopher, lecturer, colleague and friend, she lived in a time when the United States was undergoing great changes resulting from increased urbanization and industrialization. It was not the age of the feminist, but somehow Mary Parker Follett penetrated the inner sanctum of some of the world’s leading organizations (Rowntree’s of England and Dennison’s of the United States to name two). She observed and commented on the workings of these organizations, and from them, she formulated an encompassing theory of leadership. Mary Parker Follett wrote in The New State: Group Organization the Solution of Popular Government, that a leader can only lead the group from within the group. It is within the group that the leader can come to understand what the group’s goal(s) means to each member of the group. It is within the group that the leader can determine the varying interests of the group members and harmonize any conflicting interests through two-way communication. Only from within can they reconcile these interests to the group’s goal(s). Mary Parker Follett did not finish her theory with the search for universal behaviours, she broadened her view with the idea that leadership is situationally influenced. Miss Follett understood that leadership depended and changed according to the situation within which the group found themselves. Prior to completing her doctorate, Dr. McLarney held management positions in various companies in the hospital, transportation, and consulting sectors. 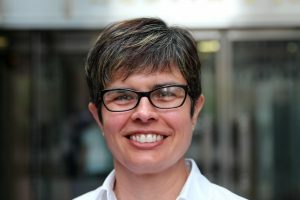 Her research interests include the interface between small businesses and international business strategy, and the use of strategic alliances to garner success. Dr. McLarney also explores issues relating to board governance, particularly the use of outside directors. International Business was my opening MBA (FS) course. In my first e-mail to Dr. McLarney back in 1999, I asked how would I know whether I was on track with my studies. Rather than highlighting “marks”, she suggested that I give voice to my ideas, solutions, arguments, which were to be based on solid research and objective analysis but tempered with humanity and compassion. It was a liberating answer. Fast forward to 2017, I asked Dr. McLarney to recall her advice on the importance of scholarship. She graciously agreed to share her thoughts in an open letter to our alumni community. I first want to congratulate everyone who has made CFAME Connection a reality. This is a great opportunity for our alumni community to share knowledge and experiences. “A discussion on marks vs scholarship really struck a chord within me. Not for the obvious reason, my profession, but rather I was reflecting on my days as a doctoral student. When I had made the decision to pursue a PhD. I really had no clue what I was getting myself into. I remember my conversation with David, my Managing Director, centered on my desire to teach. He said I could stay with the firm and teach part-time if I wanted to, or I could pursue a doctorate and come back and consult and teach. So, for me I had a wonderful safety net in my toolbox as I entered my PhD. 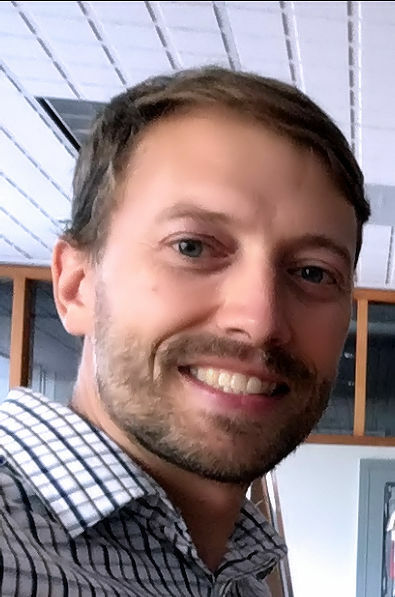 Once I entered the program, it quickly became evident to me that completing a PhD had nothing to do with teaching and we were told very early on to drop that dream. My office mate Ed, who now is my writing partner also wanted to teach, so we became this little band of undercover teachers. All these years later Ed and I still write and still teach with passion and commitment. Being a doctoral student is a terrifying but freeing experience. An MBA does not prepare you in any way for a PhD. It is never about marks or assignments. When I started, the course syllabus was often a list of 50-70 books, 300 articles and this sentence “On (insert last day of class) you will submit a journal ready article”. It was expected that you would then submit that article the next semester to the journal you had chosen. It was a daunting experience, but one that was the best training as a researcher. My work was about creating new knowledge, defining my scholarship – not about getting an A. That was a major paradigm shift for me. “I am now 25 years into my career as an academic and the one thing that I know is that you never finish anything completely. This may seem strange, but for me I feel I am a “practicing academic”. No lecture or paper is ever perfect; they can always be improved. My teaching has evolved, and hopefully improved, to address the ever-changing student body. When I began teaching in the MBA-FS program the majority of the students knew of a life before the internet, today the majority know of no life before Google or Amazon (not the river). When I began, students in our program “faxed” their assignments into the OEGP office, today everything is done through our learning platform Brightspace. I have had to adapt and to adopt new ways of teaching and connecting with students. What has not changed is my belief in the power of ideas, the written word, and setting aside time to think. I always start the intensive for capstone course with this: “What I want this week to be is a time for reflection, a time to think about the past number of years you have spent in the program, and time to ponder the challenges and great opportunities that lay ahead.” This is what I hope for our Alumni, that you have continued to carve out time to think. Time to sit with a problem, an issue, an idea. Time to let your thoughts percolate. Time to let your mind wander. When I look at my research over the years, I also see it has evolved. My early days were spent trying to get parts of my dissertation published. My dissertation was the largest research project I had ever completed. It was also the worst because it was the first. Today, and three dozen articles later, and I can say I am better. I am better at articulating my ideas, better at structuring research studies, better at reaching my intended audience. My doctoral supervisor once said to me that I was entering the most wonderful profession, “They are going to pay you to think, to write and to disseminate what you find.” He was right, but what he failed to tell me was the enormous obligation to get it right. So, I continue each day to “practice”. To think and re-think an idea. To write and re-write and re-write, again, a paper. To present paper after paper until my ideas are heard. CFAME is marking the 20th anniversary of the MBA (Financial Services). We are celebrating! The first event, held on October 19th at the Royal York Hotel, was an opportunity to reminisce and find out all that has happened to fellow graduates since those halcyon days of textbooks and intensives. Now we have taken the festivities home to Halifax. Dr. Carolan McLarney has sent out a special invitation for all to join her in the celebration. I hope this post on CFAME Connection finds you happy and healthy. You may already be aware that we are celebrating the 20th Anniversary of the MBA (Financial Services). It is so hard to believe that it has been twenty years (or that I am twenty years older). So much has happened in all of our lives that I am hoping you will be able to join me at the Halifax celebration on the 30th of November so we can reconnect. I am really looking forward to touching base with each of you and catching up with all the things that have happened since we saw each other last.